Where I live, in deepest darkest Cornwall, there are hardly any houses and there are no street lights. This means there is hardly any light pollution at all and consequently, it's possible, on a clear night, to see hundreds of thousands of stars. I often stand outside at night, when I'm taking the dogs out, staring up at the sky (not surprising really that my neighbours all think I'm mad!). It's totally, amazingly beautiful and kind of puts into perspective what a very small part of the universe we really are. 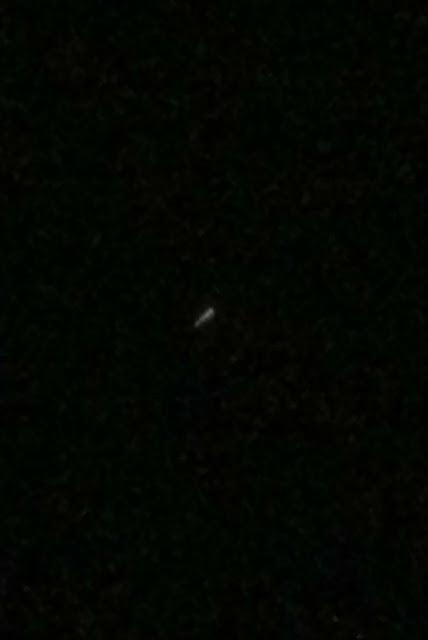 This week, I discovered that along with the millions of stars, it is also sometimes possible to spot the International Space Station with the naked eye. 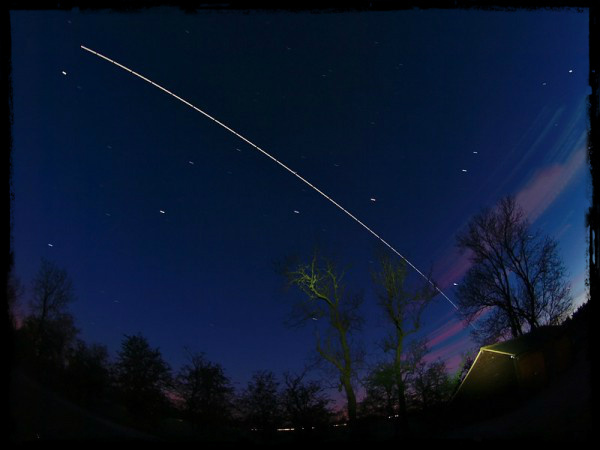 The best time to observe the ISS is, obviously, when it's night time but, because of its size, it actually reflects a large amount of sunlight so it can also be seen at sunrise and sunset because of the suns rays hitting it and being reflected off it. Now for the geek bit :-) The ISS is a habitable, artificial satellite in low Earth orbit. It was launched in 1998 and it measures just over 72 m long by around 108 m wide and 20 m high and is maintained at an orbital altitude of between 330 km (205 mi) and 410 km (255 mi) travelling at an average speed of 27,724 kilometres (17,227 mi) per hour. It completes 15.7 orbits of the Earth every day. 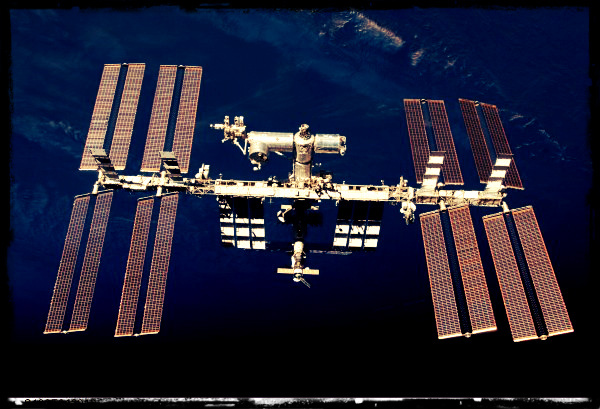 There are three people permanently manning the International Space Station. The crew are on a rota and each rotation is between 4-6 months. When the shuttle goes up, it can carry up to seven additional people so there can be as many as ten people on the station when the shuttle is there. For any of you who fancy having a look, you can find the ISS page HERE and you can put in your location or your postcode in the search box on the right or you can move the map to your location and you can go out tonight and have a look and see if you can see it. The green bars on the chart indicate how bright the ISS will appear on its pass. I have seen it twice now, once on Thursday night, quite by accident and once on Saturday night when we were actually looking for it. It looks a bit like a plane passing overhead but it's brighter and it doesn't flash. Sadly my attempt at a photo is not nearly so beautiful and consisted of my daughter snapping away with her iPad. Amazing! I didnt know about this, thanks so much for sharing - we live in the countryside too so maybe we will be able to spot it as well.